You can’t make a Greek salad, or many other “Greek” inspired dishes without Kalamata olives. They are very unlike almost any other olive available. They have a meaty saltiness that, in my opinion, puts them head and shoulders above other olives. 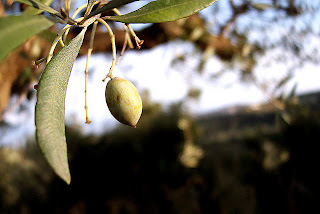 Olives have been grown and harvested in the Mediterranean region since time immemorial. 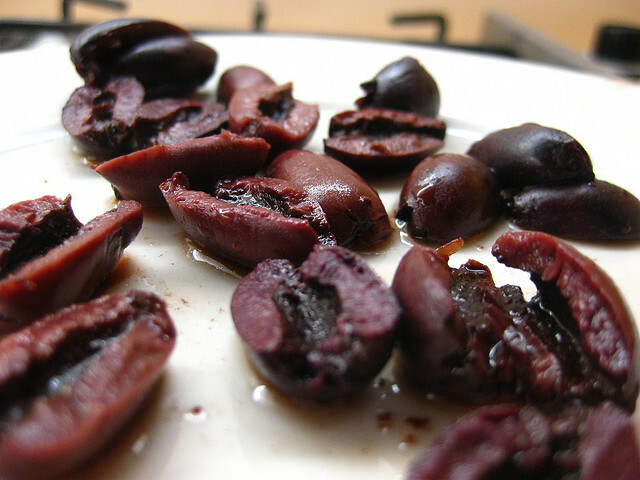 Kalamata olives are named after the city of Kalamata in Messenia, southern Greece. This particular olive is large with a smooth, meaty texture. They are usually preserved in wine vinegar or olive oil or both. They have an unmistakable aubergine coloured exterior when ripe. These are not the common green olive (Olea europaea). 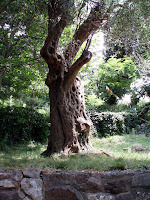 The Kalamata tree is distinguished from the common olive by the size of its leaves, which grow to twice the size of normal varieties. 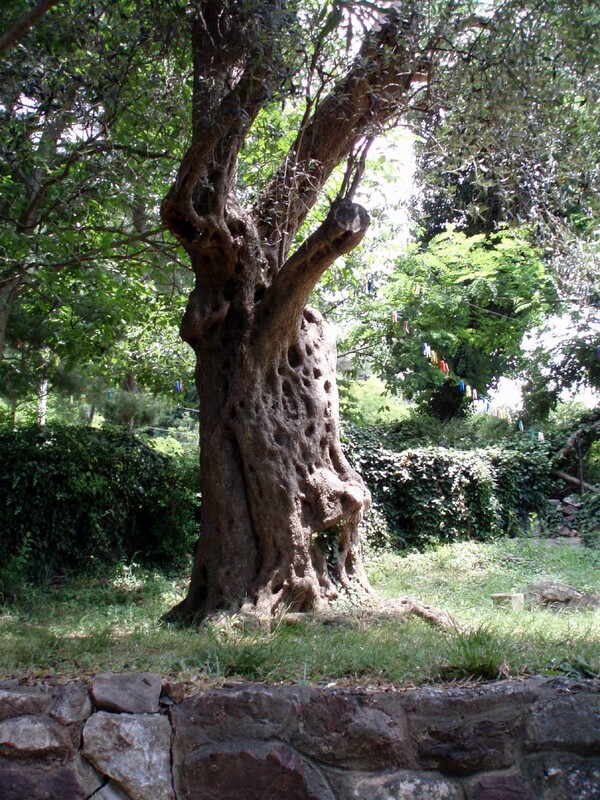 The trees are intolerant of cold but are resistant to olive knot and the olive fruit fly. Kalamata olives cannot be harvested green, and must be hand-picked in order to avoid bruising. Kalamata olives are protected under the European Protected Geographical Status scheme. Most Kalamata olives are partially split prior to being brined or pickled, which allows the flavour to soak into the fruit. They are most commonly sold with the pits still inside – so be careful. More than one tooth has been chipped in enjoying these amazing delicacies. Kalamatas can be used an unbelievable array of recipes. They can be included in baked fish with tomatoes, or kneaded into olive bread. They are superior on pizzas or tossed with pasta and are a great taste combination with orange segments in a salad. To say the least, the uses are diverse. 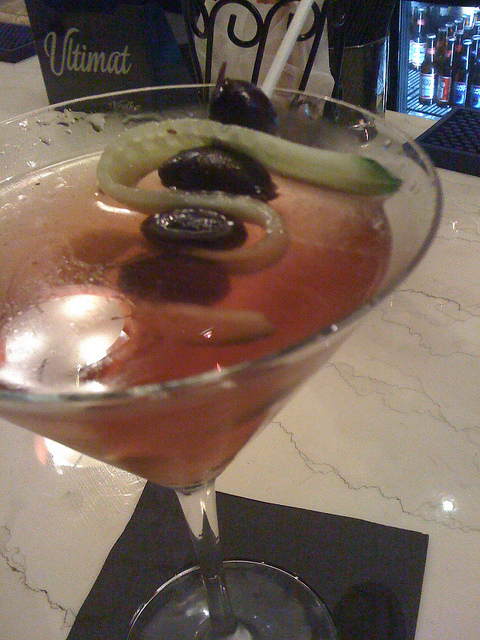 They are even substituted in a martini on occasion. One particular recipe uses some of the olive brine for a “dirty martini” and the olive itself as garnish. 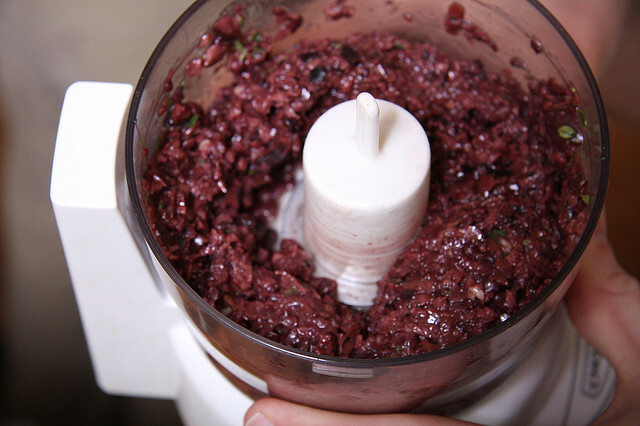 Of couse, one of the most common uses is in tapenade, the classic olive spread. Here’s an easy recipe to make Kalamata Tapenade. The recipe is from food.com, posted on February 21, 2006 by “What’s Cooking.” To see the original recipe click here. Add garlic to food processor, blend until minced. Add remaining ingredients except olive oil. Blend until smooth, adding olive oil slowly while the blade is running. Adjust ingredients to your liking - Additional pine nuts, parsley or pitted canned black olives will make it less salty and intense in flavor, while additional oil will increase the creaminess. You can also use other fresh herbs such as sage or basil.